If you look past the label of your favorite apéritif and deep into its history, you’ll often find a long story of the founder, concocting the mash bill long since before the prohibition. The liquor industry is one with deep narratives. Such is true for the Kentucky-originated Bulleit Bourbon–only Bulleit has passed from old to new in a different way that most. Some time around 1830, Augustus Bulleit made his first batch of the rye-based bourbon, and he continued to do so for the 30 years that followed. Upon his death in 1860, production stopped altogether. That was until 1987, when Tom Bulleit, the great-great-grandson of Augustus, revived his family dream and officially founded the Bulleit Distilling Company. With a new formula, now including 28% rye on the mash bill rather than the original 66% his grandfather used, the 90 proof bourbon acquired a remarkably smooth taste. One state north and a number of years later, Noble Denim was born. Concocted from the minds of Chris and Abby Sutton in 2012, Noble Denim hit the market with 200 pairs of jeans. Today, Noble has expanded, developing relationships with manufacturers around the US. It’s often over used, but the word quality (in the denim industry) truly belongs to Noble. Each piece of the Noble line is scrupulously considered, designed, and then crafted. So, it’s no wonder that Bulleit and Noble got together to make a jacket for the ages. 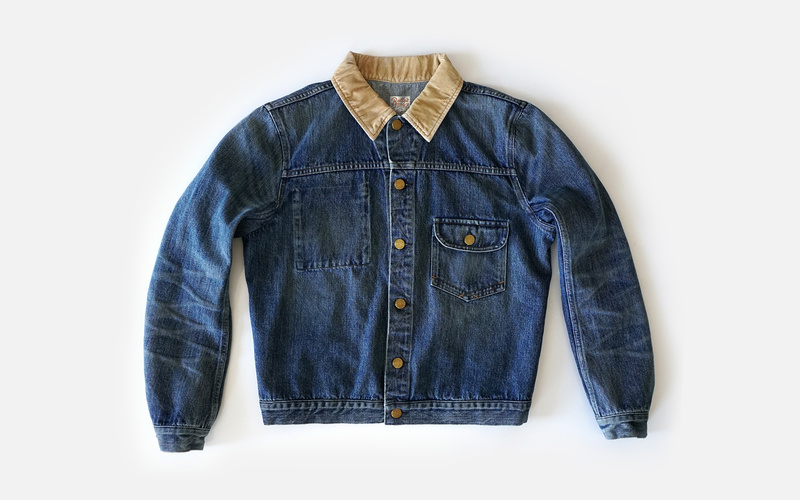 True to form, the two brands came together to develop a denim jacket in the US. 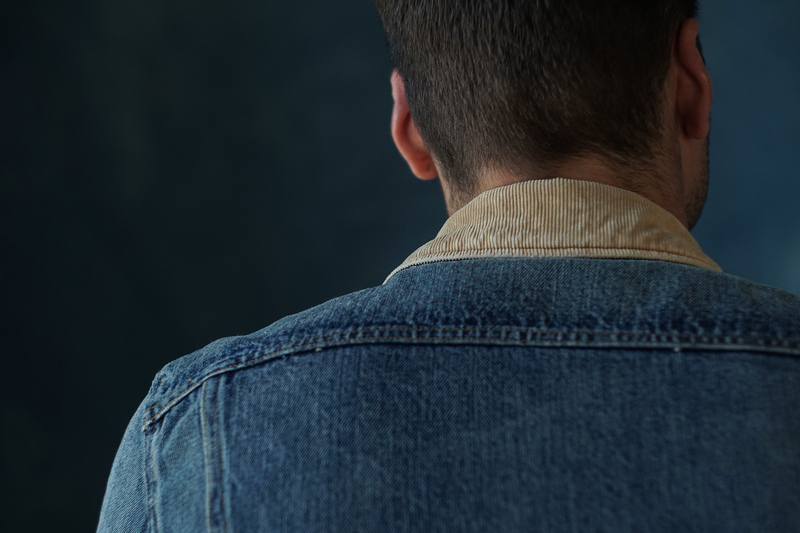 With a barrel-aged corduroy collar, custom copper buttons, and a selvedge interior pocket, this slim-silhouetted jacket is beautifully made and aged to perfection. The 13.5oz denim from Cone Mills White Oak in North Carolina is washed and appropriately weathered, which ensures a rinsed color, and a pre-shrunk figure that is true to size. 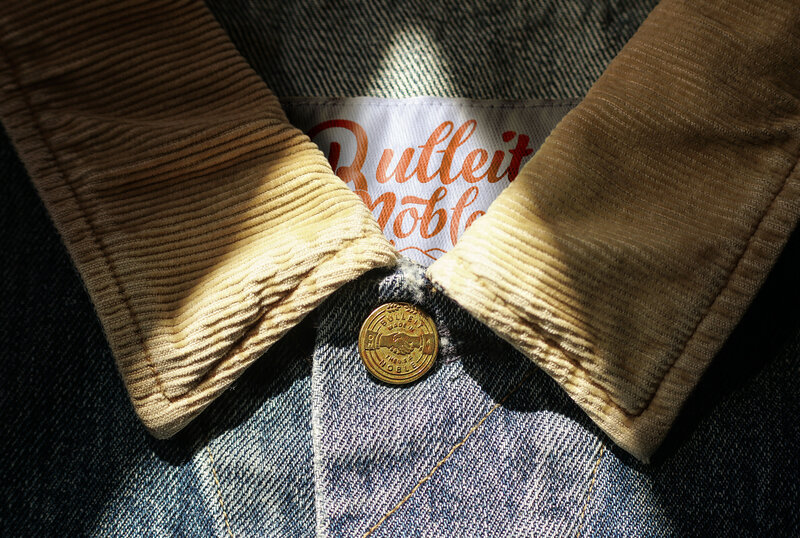 In the Bulleit x Noble Denim Jacket, 1830s history meets 1980s style meets 2017. It’s not every day (or every century) you get a combination like that. The Bulleit x Noble Denim Jacket is available at nobledenim.com.